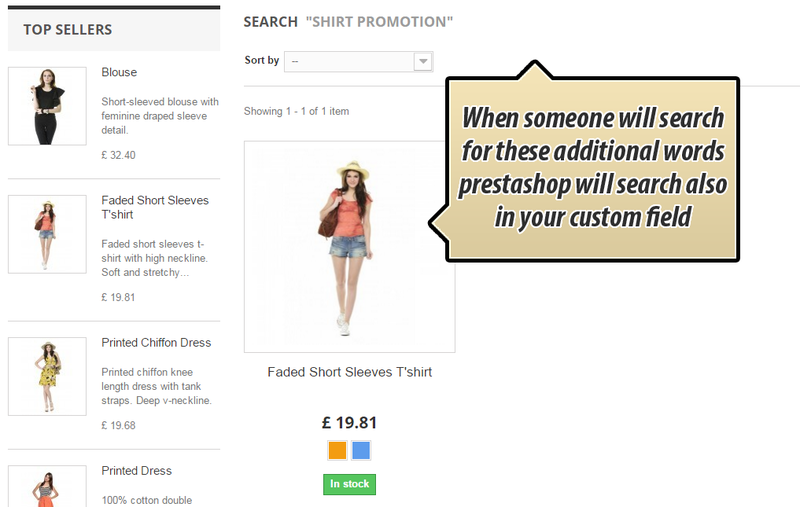 Search tool in PrestaShop uses only "visible" texts available on product page while someone search for products in your shop. With this modification you can add additional field on product edit page to define "hidden" keywords. 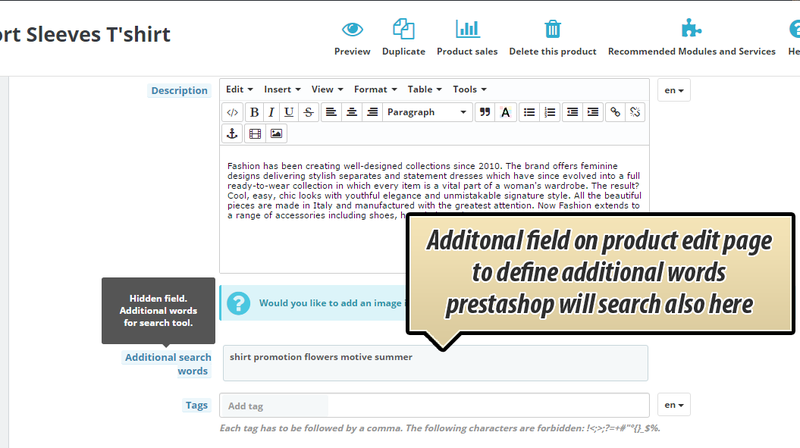 Shop search tool in prestashop will use also this field to search products. In this modification we create a hidden field to enter some additional keywords for products that are used by the seach tool in your shop based on PrestaShop. For example, if you're selling a "mexico flag charm" - if someone searches for "mexican" there are no results. With this modification you will be able to create keywords for products that are not displayed on the front end but are used in the search index. So, your products will gain more visibility in internal search tool in your online store.